As I discussed in an earlier post, saints acted as mediators between humans and the divine in medieval Christianity--as indeed they still do in modern Catholicism. Saints were not distant figures, because medieval churches would still have a piece of them, their relics. The early church was slightly leery of the idea of preserving body parts of the holy dead. Certainly they buried them reverently, but the first time that a bishop put bits of the bones of a saint into an altar was at the end of the fourth century. Saint Augustine, initially uncertain about the practice, became an enthusiastic supporter in the fifth century. He was convinced because he believed they could work miracles. The bones of Saint Stephen, who is mentioned in the New Testament as the first martyr (someone killed for his faith), gained a great deal of attention at this time, and churches all over Europe were dedicated in his honor. Stephen was soon joined by other saints, both "universal" saints like Mary and local holy men and women, who would be revered where they were buried and who would be considered likely to listen to the prayers of their neighbors. Similarly, medieval people were suspicious of people willing to sell relics--who would want to get rid of a real relic? So if a church did buy a relic, they would usually do so from someone who claimed to have stolen it. These "holy thefts" were considered only to be possible if the saint was willing to leave--probably because the church where their relics were located was not treating them right. If someone wanted to steal relics which did not want to go, they would become enormously heavy, or the thief would find it impossible to leave town. Relics could be classified as first-class or second-class. First-class relics were actual pieces of the dead saint. Second-class relics were things the saint had touched or used, like items of clothing. Some of the best-known second-class relics were the (supposed) Crown of Thorns, brought from the Holy Land to Paris in the thirteenth century (it is still preserved at the Ste.-Chapelle), and the "chemise" of the Virgin, kept at Chartres, supposedly the nightgown Mary was wearing when she gave birth to Jesus. Relics were generally kept in reliquaries. These boxes were beautifully decorated, often inset with jewels. Sometimes the reliquary would be in the shape of the body part--for example, an arm bone might be kept in a reliquary shaped like an arm. Sometimes the reliquary portrayed the saint herself. For important festivals and councils, the reliquaries would be taken out of the church and become part of the procession. A conference between the abbots and bishops of a number of different churches would also be considered a conference between the saints who had been brought along. Although saints (like God) could be accessed anywhere, they were considered to be most present with their relics. Just because they were dead didn't mean that they weren't still alive and part of the community. A late medieval French king (Louis XI) wouldn't go out without a certain number of relics pinned to his clothes. This sort of thing strikes many moderns as "superstition," but it is important not to be so dismissive. As I discussed earlier, superstition is an action unrelated to the desired outcome (like wearing lucky socks), whereas the saints helped protect the king. One may think of saints and their relics as something for days of long ago. But during World War II, when American fighters were bombing the French city of Amiens (held by the Germans), the priests of the cathedral took out their saint's reliquary and showed the saint the danger. The last bombing run stopped just short of the gorgeous fourteenth-century cathedral. Hard to argue with success! 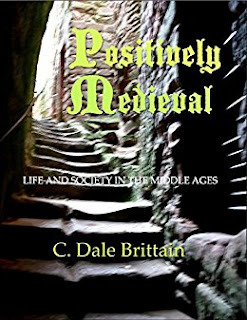 For more on medieval religion, see my new ebook, Positively Medieval: Life and Society in the Middle Ages. I'm both a professor of medieval history and a fantasy writer, having loved both history and fantasy since high school. Formative experiences: reading "Lord of the Rings" and traveling around Europe with my family, which included a great deal of climbing on castles. Check out my website, www.Daimbert.com. Follow me on Twitter, @DaimbertYurt.